Today, the Duggars are gearing up to celebrate the first of three July birthdays. 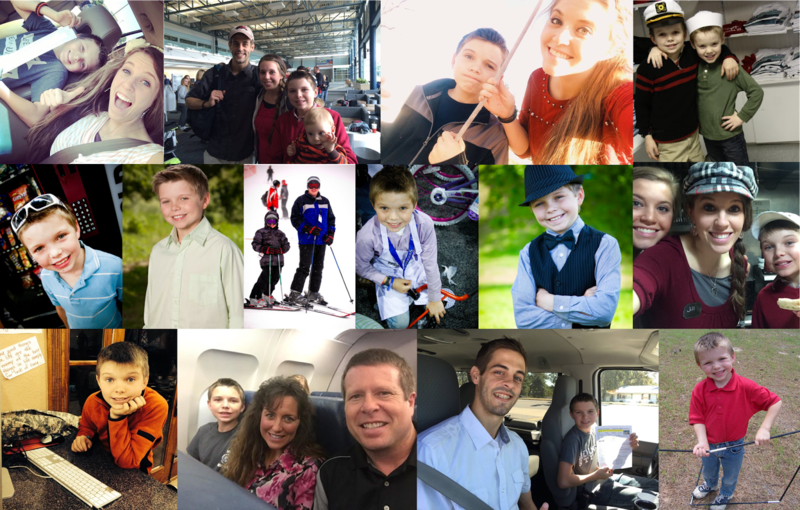 If you have been watching the family since they first appeared on TV in 2004, you may remember "meeting" two-year-old James Duggar, then the second youngest of the Duggar clan. Well, today is James' 15th birthday. Have a blessed day, James! Hard to believe James is 15! Happy Birthday James, hope you have a wonderful day! Oh My Goodness, James is 15 already?!!! He was always one of the most entertaining fun to watch kids! Sending greetings, love and prayers to the Duggars. I miss the old show, although I enjoy watching the new one. Wow James is getting so old! I never realized he was already 15! Happy Birthday James.God bless you and keep you as he blesses your special day. I love your family. Wishing you a blessed birthday and a year of blessings. Thank Lily and Ellie for keeping all of us fans updated on this AMAZINGLY AWESOME family. Wow! 15 years old! I think it's about time to update the photo collage at the top of the blog. The kids are growing up so fast! 15? But he looks so young! He looks like 12 or 13! Happy birthday! I canNOT believe he's fifteen! In my mind he's still about 10. He was such a cute and funny little kid. Happy Birthday, James!